President Cyril Ramaphosa is South Africa’s fifth post-apartheid president. He first came to prominence in the 1980s as the founder of the National Union of Mineworkers (NUM). When Nelson Mandela was released from prison in February 1990, Ramaphosa was at the head of the reception committee that greeted him. Chosen as Secretary-General of the African National Congress in 1991, Ramaphosa led the ANC’s team to negotiate the country’s post-apartheid constitution. Thwarted in his ambition to succeed Mandela, he exchanged political leadership for commerce, ultimately becoming one of the country’s wealthiest businessmen, a breeder of exotic cattle and a philanthropist. This fully revised and extended edition charts Ramaphosa’s early life and education, and his career in trade unionism, politics and constitution-building. Extensive new chapters explore his contribution to the National Planning Commission, the effects of the Marikana massacre on his political prospects and the real story behind his rise to the deputy presidency of the country in 2014. They set out the constraints Ramaphosa faced as Jacob Zuma’s deputy, and explain how he ultimately triumphed in the election of the ANC’s new president in 2017. 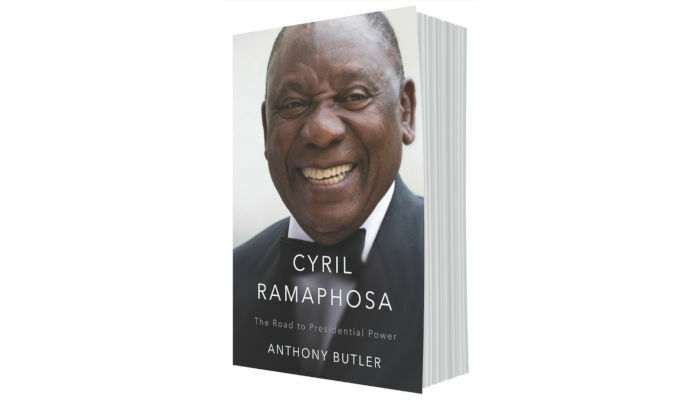 The book concludes with an analysis of the challenges Ramaphosa faces as the country’s fifth post-apartheid president. decade, and on rich interviews with many of the subject’s friends and contemporaries. programme at Birkbeck College, University of London and Chair in Political Studies at the University of the Witwatersrand. He is currently Professor of Political Studies at the University of Cape Town. He writes a regular column for Business Day.